As I’m sure you have all heard/seen – Maybelline baby lips are finally available in the UK! *Huzzah! * I have been lucky enough to own two for a while now, and am a fan of them, but didn’t want to brag about them as I felt it wasn’t fair if they weren’t available for everyone. I had the peach and the pink one, but my favourite at the moment is the mint one! I love anything minty. The Baby lips come in 6 flavours – Hydrate, Intense care, Mint fresh, Cherry me, Pink punch and Peach kiss. For £2.99 you can’t really go wrong! The packaging is also so cute, I love it. The colours all clash nicely, and they are easily visible floating in the pit of your bag. These are definitely some of my favourite lip balms. 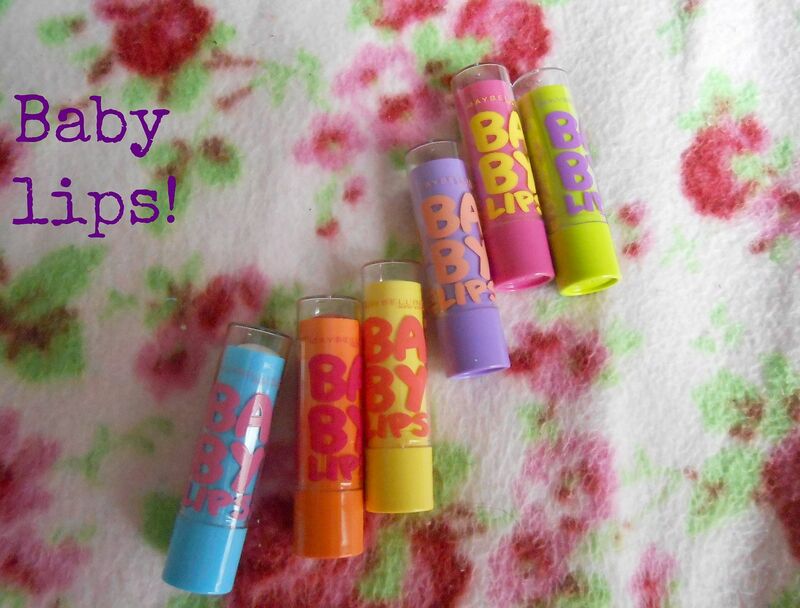 To share my love of the baby lips, enjoy a cheeky giveaway of each one of the babylips! 🙂 You can easily enter your details using the widget below. Good luck!